It's great to take a look back sometimes to see how far you've come. 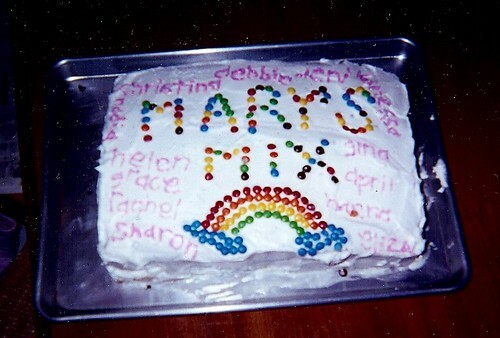 I made this cake roughly 10 years ago for my high school Bible study group. Standard cake mix with store bought frosting. Mary was our leader and Mix was just the name of the group. You like rainbow?? Uh huh... that was an awesome use of M&M's... hahaha! A promising start... In 10 years there's a lot one can learn!